This is a live blog of the first day of the hearing of the “Brexit” appeal. Please refresh the UKSC Blog homepage throughout the day in order to get the latest posts. Today’s live blog team comprises Ryan Dolby-Stevens (Olswang), Natalie Hall (CMS), Jonathan Scrine (Nabarro), Jack Ballantyne (Olswang), Clementine Bottet (Nabarro) & Cathryn Hopkins (Olswang). Day 1 featured submissions for the Government from HM Attorney General Jeremy Wright QC and James Eadie QC. It is a fundamental principle of the British constitution that foreign affairs are a prerogative power controlled by Government. The prerogative operates as part of a dualist system whereby EU laws are made applicable via specific or general acts of UK Parliament. Exercise of the prerogative does not encroach upon the principle of Parliamentary Sovereignty as Parliament may expressly restrict the prerogative if it wishes to do so. James Eadie QC went into further detail discussing authorities that demonstrated Parliament has been able to restrict prerogative powers but when it has done so it has used express legislative mechanisms (such as referenda, motions for approval, or primary legislation). In the Government’s submission there is nothing in the current statutory scheme that controls or limits the use of the prerogative power for the purposes of giving notice under Article 50. He also submitted that the European Communities Act 1972 made provision for changes in EU law from “time to time” and that such provision would include the Government withdrawing from EU treaties, and not only validating amendments to their terms. The Justices provided some robust questioning, particularly from Lords Mance, Sumption and Carnwath, to clarify the Government’s case. At times James Eadie QC appeared inhibited by the succession of questions but this is to a large extent a result of the en banc panel of eleven Justices. There were also positive remarks made by the Justices and it would be difficult to draw any conclusions from today’s proceedings as to the outcome of the appeal. Following the conclusion of James Eadie QC’s submissions tomorrow morning, Lord Keen QC and John F Larkin QC will make submissions for the Government on the issues relating to devolved institutions. We expect to hear from Lord Pannick QC regarding the respondents’ submissions tomorrow afternoon. Proceedings are scheduled to recommence at 10.15. 16.36: In his final submissions of the day, James Eadie QC submitted that Parliament did not make provision to control the notification of withdrawal from the EU under Article 50. The hearing has adjourned and will re-commence tomorrow at 10.15am. 16.32: James Eadie QC submits that any control by Parliament of the royal prerogative has been via express provision. He referenced the case of R v Secretary of State for Foreign and Commonwealth Affairs ex parte Rees-Mogg discussed earlier today to support his submission on behalf of the government that when Parliament wants to exercise control over the prerogative power then it has done so expressly. 16.21: In response to a query from Lord Mance about the relevance of the legislation after the ECA 1972, James Eadie QC submits that as Article 50 was not in existence until 2008, the legislative scheme must be considered as a whole and as at today’s date. He added that it is not possible to consider the ECA 1972 in isolation. 16.15: James Eadie QC submits that 2015 Act contained no attempt to control the royal prerogative, no requirement for primary legislation to authorise the government before they could exercise prerogative powers, nor any other mechanism providing for Parliamentary involvement. 16.06: The Justices asked about the relevance of the 2015 Act and James Eadie QC confirmed that the government did not assert that the 2015 Act provided statutory power for the government to exercise Article 50. 16.00: The submissions on behalf of the government now turn to the 2015 Act. 15.54: Lord Neuberger observed that the express restrictions on the prerogative cited by James Eadie QC appear to have been designed to prevent an increase in EU powers. 15:49: James Eadie QC builds on submissions about the 2008 Act to state “Parliament has carefully selected the areas that it wishes to control” and submits on behalf of the government that the rest has therefore been left to the royal prerogative. 15.42: James Eadie QC submits that the European Union (Amendment) Act 2008 (“2008 Act”) (which incorporated the Lisbon Treaty) expanded the circumstances in which amendments could be made to EU treaties but did not place any restrictions on the prerogative power in relation to Article 50. 15.40: James Eadie QC runs through the restrictions on the royal prerogative in dealing with EU treaties brought in by the 1978, 2002 and 2008 Acts. He submitted that the 1978 Act was the first time that Parliament had expressly controlled the prerogative power to deal with treaties. 15.20: James Eadie QC submits that the EU rights of British citizens that will be lost as a result of Brexit are “inherently limited or contingent” and were “created on the international plane”. They therefore continue to be determined using the royal prerogative. 15.10: There is ongoing debate between James Eadie QC and various members of the panel about the difference between the prerogative to join or leave the EU, and to implement developments in EU laws from “time to time”. Lord Mance captures the essence of the distinction as the difference between rights available to all members such as voting on the colours of a club dress code, and the separate class of privileges over who joins and leaves the membership of that club. 14.56: After further discussion on this point with Lord Mance, Lord Neuberger asks James Eadie QC to press on with his submissions acknowledging that the UK constitution does not offer the “straight lines” required for quick decisions on the correct process for treaty withdrawal. 14.48: Lord Wilson states that James Eadie QC has shown “very convincingly” that the accession to Europe via the ECA 1972 was a “joint effort” of prerogative powers and Parliamentary legislation. He then asks why accession must be a joint effort and withdrawal need not be? In response James Eadie QC states that withdrawal need not be a joint effort but, if it must be, Parliament’s decision to pass the 2015 Act is sufficient cooperation with the Government. 14.24: James Eadie QC notes that the royal prerogative is a freestanding source of power. When Parliament intervenes this must be expressly and deliberately provided for by nuanced legislation. 14.13: James Eadie QC resumes his submissions for the Government. He discusses the application of De Keyser principles and the controls imposed by Parliament on prerogative powers to ratify international treaties. 13.05: The hearing has adjourned for lunch and is expected to resume at 14:00. 12.58: The next case referred to is R v Secretary of State for Foreign and Commonwealth Affairs ex parte Rees-Mogg: James Eadie QC submits that the availability of the prerogative in relation to EU law depends on whether it has been expressly reserved by Parliament. In response to a question from Lord Sumption about the nature of the prerogative power that the executive is proposing to exercise, James Eadie QC says that it is a general power to do something on the international plane which can impact on domestic law. 12.48: James Eadie QC is now referring to the authority in Fire Brigades Union. Lord Neuberger commented that the principle emerging from this case was that the prerogative power cannot be used to undermine rights or obligations. Fire Brigades Union concerned an obligation to bring in legislation. 12.40: James Eadie QC has been taking the Justices through the facts and decision in De Keyser, a case which involved the exercise of the prerogative power to requisition property. 12.20: James Eadie QC outlines the conventional approach that the courts have developed for whether fundamental constitutional powers have been abrogated. James Eadie QC submits that the respondent’s case involves a direct reversal of the principles set out in De Keyser. 12.13: James Eadie QC has concluded his submissions in relation to the legitimate use of the prerogative in relation to the UK’s dualist system. He has now moved onto discuss the application of the De Keyser principles. 12.04: James Eadie QC submits that there are ways where action by the Government can effect domestic legal rights. The Government can under the UK constitution lawfully take steps without Parliamentary authorisation which directly alter domestic law, including removing rights. This is inherent in the creation of domestic law. 11.58: James Eadie QC states that consistently with dualism, legislation creates a conduit between international and domestic law. There are various ways which Parliament may choose to transpose treaties into domestic law. None of these imply that Government intended to constrain future Government action on an international plane. 11.50: James Eadie QC is now covering principles in relation to dualism. He is explaining that prerogative powers can be exercised to create international rights and obligations on an international plane. The prerogative allows the Government to enter and withdraw from treaties. 11.43: Lord Carnwath interjects James Eadie QC’s submissions and asks whether the exercise of the prerogative is an abuse of power. James Eadie QC says that there are “non-justiciability” issues to consider. This might be a point which is returned to by the appellant over the next few days. 11.38: James Eadie QC outlines his submissions in relation to prerogative powers. He states that prerogative powers can be exercised by the Government without statutory authority and also that Parliament is sovereign and can control the prerogative in any way it sees fit. 11.29: Opening address on behalf of the Secretary of State by James Eadie QC, we are not alone among other commonwealth jurisdictions in relation to our treaty making, ratification and – especially – withdrawal. 11.24: HM Attorney General: Parliament can stand up for itself in matters of sovereignty. The imposition of a legislative pre-condition on triggering Article 50 by these courts, which Parliament did not choose to impose itself, cannot be supportive of parliamentary sovereignty. 11.22: HM Attorney General on the issue of parliamentary sovereignty: Parliament can choose to limit the prerogative and, where it has done so, it has done so sparingly. Parliament has also considered what the balance of power should be on the specific question of EU membership. He argues there is nothing in the wording of the ECA 1972 to inhibit withdrawal or subject withdrawal to a requirement of prior legislative authority. 11.13: Opening address on behalf of the Secretary of State by HM Attorney General (Jeremy Wright QC), outlining three key points to be made in submissions: (i) the foreign affairs prerogative is a fundamental pillar of our constitution; (ii) the prerogative operates as part of a dualist system; and (iii) it operates wholly in accordance with parliamentary sovereignty. 11.08: The hearing commences with a brief opening statement from Lord Neuberger. Lord Neuberger states that (at the direction of the Court) the Registrar has asked all the parties to the proceedings whether they wish any of the Justices to stand down; all of the parties without exception have confirmed they have no objection to any of the Justices sitting on the appeal. Lord Neuberger thanks the parties, their lawyers and the court’s staff for their hard work in allowing this appeal to come before the court in such short order. Finally, Lord Neuberger reminds us that the Supreme Court is concerned purely with a point of law and not with the wider political issues surrounding this case. 10.30: The first day of this much-anticipated hearing is due to start in 30 minutes. A brief summary of the first instance decision of the Divisional Court (Lord Thomas of Cwmgiedd CJ, Sir Terence Etherton MR and Sales LJ) (the “DC”) can be found here. This post will be updated throughout the day by a team of lawyers from Olswang, CMS and Nabarro so refresh this post regularly in order to keep up to date with the latest content. Today’s team comprises Cathryn Hopkins & Ryan Dolby-Stevens (Olswang), Natalie Hall (CMS), Byron Phillips (Nabarro), Jack Ballantyne (Olswang), Billy Bradley (CMS) and Stephanie Cheung (Nabarro). We will also have live tweets on the blog’s Twitter from the media suite of the Supreme Court itself. We’re due to hear today from HM Attorney General, James Eadie QC and the Advocate General for Scotland, who will be making submissions on behalf of the appellant, the Secretary of State for Exiting the EU (who will be referred to as the Government in this live blog for ease and speed). The Government can exercise its prerogative powers to enter into international treaties in the course of conducting the UK’s business on an international plane. Given the UK’s dualist constitutional system, international treaties are not “self-executing”. That is, rights created on the international plane (in this case, by entry of the UK into the EU treaties) have to be implemented into domestic law (that is, legislated by Parliament, in this case by way of the European Communities Act 1972 (“ECA 1972”) in order to be enforced in the UK courts. However, such implementation into domestic law does not restrict the Government’s prerogative powers to make decisions in relation to the EU treaties (including withdrawing from them). Indeed, any such restrictions by Parliament on the Government’s prerogative powers must be express or by way of necessary implication. The legislation concerning the UK’s membership of the EU (including the European Union Referendum Act 2015) (“2015 Act”) indicate that the Government’s power to give notice under Article 50 has not been removed by Parliament. These arguments track those made at first instance so it remains to be seen whether a majority of the 11 Supreme Court justices can be convinced where the Lord Chief Justice, the Master of the Rolls and a former Treasury Devil were not. I will be interested to see whether the Court reacts to the Government’s claim that the referendum result was relegated to a footnote by the High Court. This appears to be a political claim, keeping the Daily Mail onside, with no discernible legal content. 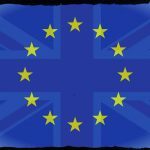 Leave a reply on "Live Blog: R (Miller & Anor) v Secretary of State for Exiting the European Union (Day 1)"